The Dangerous Dance Gala dinner was 1 year ago last Thursday 10th August – time’s flying as usual! Since then we’ve done more than 20 fascinating interviews, in both Adelaide and Sydney, and are in Melbourne this week to film another 5 interviews. And we’ve got two big wins to report. 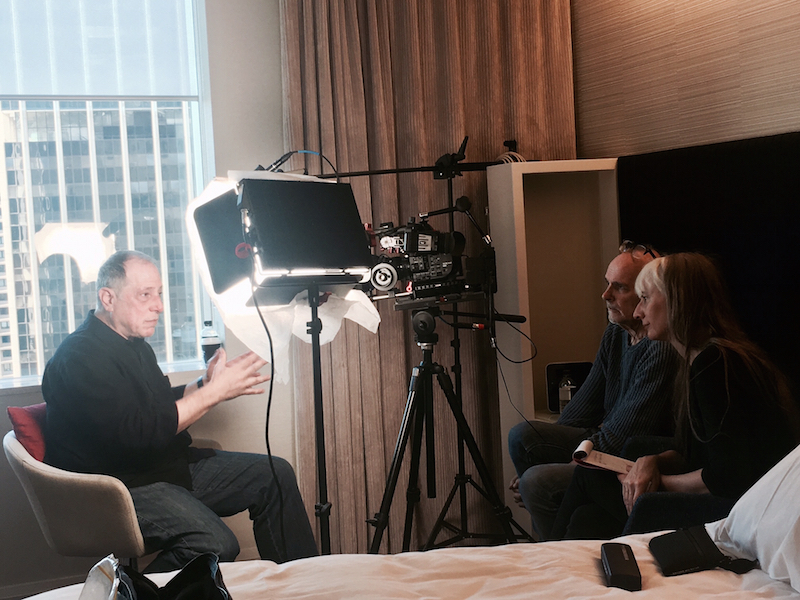 Firstly, last Sunday we had the amazing opportunity to interview Michael Kimmel (pictured above). Michael is an American sociologist and one of the world’s leading experts on men and masculinities. A tireless advocate of engaging men to support gender equality, Kimmel has lectured at more than 300 colleges, universities and high schools. He has delivered the International Women’s Day annual lecture at the European Parliament, the European Commission and the Council of Europe, and has worked with the Ministers for Gender Equality of Norway, Denmark and Sweden in developing programs for boys and men. Michael generously gave us 2 hours of his time during his whistle-stop tour of NZ and Australia and the interview was absolutely fascinating. It included many solution focused ideas around domestic violence and we look forward to sharing his wisdom with you in the documentary. And the other great news is that we now have a confirmed timeline for receiving the first $20k of the pledged funding which will be with us in September, followed by the remaining $70k later this year – with thanks to Virginia Hyland of HM Communications group. If you’d like to get a taste of Michael Kimmel’s work, see his TED talk called Why Gender Equality is Good for Everyone – Men Included. Have our stories about who we are reached their use by date?